The cervical spine is the upper end of the spinal column and describes the top 7 vertebral bones and the various soft tissues which hold them together. The human backbone is a wonder of design and functionality, featuring incredible strength and flexibility, combined with a versatile design which allows us the diverse range of motion we enjoy throughout our lives. Unfortunately, the cervical region can also be affected by disease, degeneration or injury which may be actually or perceptively responsible for enacting neck pain of various types, durations and severities in some patients. This essay discusses the cervical region of the spine in vivid and easily understood detail. The cervical vertebrae are named C1 through C7. The uppermost vertebra is called the Atlas and the second vertebra is named the Axis. The Atlas is named by Greek tradition to represent the vertebra which supports the head, much as its namesake titan upheld the world. The Axis denotes a vertebra which rotates side to side, allowing specific movement of the head. There is no intervertebral disc between these first 2 cervical bones. The remainder of the cervical bones curve in a lordotic shape and eventually transition into the thoracic spine at C7/T1. The disc between the lowest cervical level and the uppermost thoracic level is called the cervicothoracic juncture. There are intervertebral discs in between every cervical vertebrae, except between C1 and C2. These spacers help to curve the spine, cushion the bones, bear weight and absorb shock. The cervical region also contains the spinal cord, which runs through the vertebral foramen and the various spinal nerves which branch off the cord at each spinal level, exiting through the neuroforamen. There are also a number of ligaments in the cervical spine, including the ligamentum flavum and the posterior longitudinal ligament. The majority of cervical pain conditions are blamed on soft tissue pathologies, such as herniated discs, degenerative disc disease or ligament hypertrophy. The neck is a region which features light weight bones and thin intervertebral discs. These structures might be less hearty in construction than the other areas of the spine, but they are still incredibly strong. However, being that there is less mass here, the vertebrae and discs are usually more susceptible to injury and degenerative concerns than the other areas of the back. 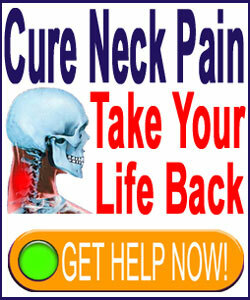 This is compounded by the constant bending and flexing which the neck endures throughout its lifetime. 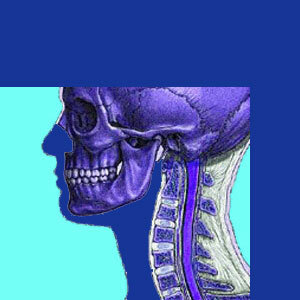 Neck pain can certainly originate from exclusively anatomical issues and abnormalities in the cervical region. However, it is crucial to remember that in many patients, structural irregularities may be innocent and completely coincidental to the pain. In these cases, the findings on diagnostic imaging studies, such as MRIs, act as neck pain scapegoats and nothing more. Meanwhile, the true reason for the pain goes undiscovered, leading to the epidemic incidence of failed treatment and surgery seen so often in the dorsopathy industry.